fischertechnik Robot Sets | OhGizmo! 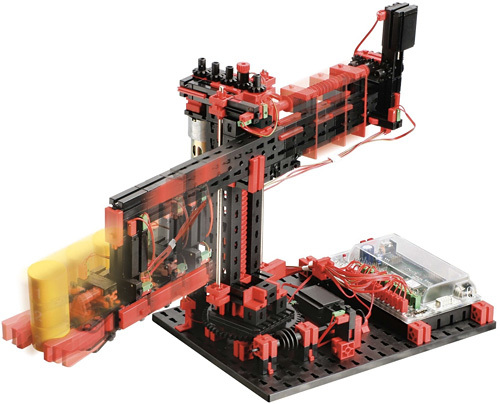 We use have used these and LEGO robotics in school and I have to say, the fischertechnik parts and controller are worth the extra $. They work better, the one thing I don't like is the wiring. The fischertechnik wiring harnesses are cheap and crappy, whereas the lego harnesses fit together snugly, also the fischertechnik wires frayed and broke a lot. So take that into consideration before you buy anything. In all other categories though. The fischertechnik wins hard.